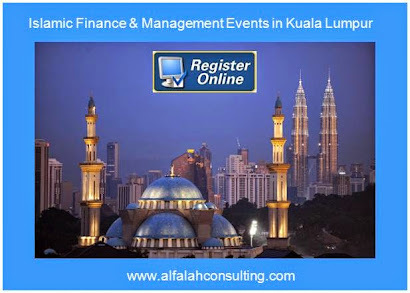 Friday, August 01, 2014 - BEFORE the financial crisis ensued in 2007, there was an explosion of interest from a number of countries in becoming hubs for Islamic finance. 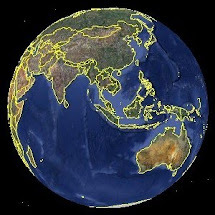 These countries included Malaysia, Singapore and Hong Kong in the East; UK, France, Italy, Luxembourg and Ireland in the West; and Bahrain, Qatar and UAE in the Middle East. Even countries like Japan and Korea showed serious interest in Islamic finance in those pre-crisis days. Many of these countries, however, went cold on their claims during the financial crisis, leaving Malaysia as the most important global player in Islamic banking and finance (IBF). 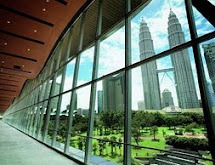 Malaysia’s global leadership role is now once again being challenged by the likes of UAE and Qatar, where the governments are actively supporting the promotion of IBF. Bahrain, once considered as the global champion of Islamic finance, is now eclipsed by bigger and wealthier players like Malaysia, UAE and Qatar. Even in UK, there is now a renewed interest in IBF, evident by the recent issuance of the first UK sovereign Sukuk of 200 million pounds , which was over-subscribed nearly 12 times by investors from across the globe. According to the Islamic Finance Country Index (IFCI), published annually by Edbiz Consulting, Iran ranks number one in the global Islamic financial services industry. Malaysia and Saudi Arabia are second and third. Pakistan ranks ninth in the list. Although Iran is positioned so high, the IBF industry remains bounded within the borders of the country, given the long period of economic sanctions on the country. This may change as we are seeing a gradual easing from Western powers. While ninth in the IFCI ranking, Pakistan has always been perceived as a major player in IBF. 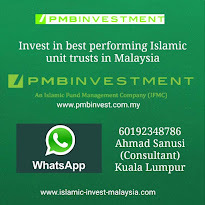 In the last three Global Islamic Finance Awards (GIFA), the most prestigious awards in the Islamic financial services industry, Malaysia has been awarded the foremost Global Leadership in Islamic Finance Awards twice (2011 and 2012) while Pakistan received it once last year. The current PML-N led government is the first democratically elected government in the country which seems serious about promoting IBF in Pakistan. The appointment of a dedicated deputy governor at the State Bank of Pakistan (SBP), with a focus on promotion of Islamic banking alludes to this fact. Apart from the developments at the central bank, advocacy of IBF in Pakistan remains rather limited. SBP has recently initiated a project to promote quality education in IBF, by committing to invest in Pakistani universities and institutions of higher learning and develop them into centres of excellence. Under this programme, specialised chairs in Islamic finance will be set up at various universities. Institute of Business Administration (IBA) is expected to become the first such centre of excellence. Other universities interested in the project include Lahore University of Management Sciences (LUMS) and COMSATS. In Malaysia, the prime minister himself keeps himself abreast with new developments in IBF. In UAE, the ruler of Dubai is directly behind its initiative of making Dubai a centre of excellence for the global Islamic economy. In Pakistan, such a central leadership role has yet to emerge. Given the on-going military operation in Wazirastan, political noise created by the likes of Imran Khan and Tahir ul Qadri, and numerous other important engagements, the prime minister has not been able to embrace IBF fully. The finance minister also has a full plate and so has the secretary offinance. 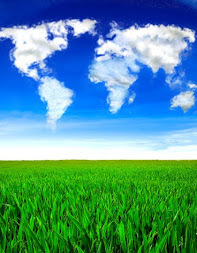 In such circumstances, there is a need that a full-time advisor be appointed to the prime minister, who should have multiple roles, including but not limited to, [a] advocacy of IBF in Pakistan and overseas; [b] liaison between different government departments (Ministry ofFinance, Planning Commission, and SBP etc.) and international bodies like Islamic Financial Services Board (IFSB) and Accounting and Auditing Organisation of Islamic Financial Institutions (AAOIFI) for the promotion and development of IBF in the country; [c] devising a national strategy on promotion of IBF; [d] developing a framework for enhancing the role of Pakistan as a global leader in IBF; and [e] more specifically, preparing recommendations for the government to create a Centre of Excellence for IBF in Pakistan. It is absolutely imperative for Pakistan to work for a leadership role in the global Islamic financial services industry to fully benefit from an industry that is fast approaching the important psychological mark of US$2 trillion under management world-wide. This can be done by advocating IBF nationally and by being involved in the decision making of international fora like IFSB, AAOIFI and International Islamic Financial Market (IIFM). It should also look into hosting an international body like IFSB, AAOIFI and IIFM, the three bodies that are hosted by Malaysia (IFSB) and Bahrain (AAOIFI and IIFM). There are a number of other bodies that work for the promotion of IBF, including but not limited to International Shari’ah Research Academy (ISRA) for Islamic Finance and International Islamic Liquidity Management Corporation IILM - both hosted by Malaysia. World Islamic Economic Forum (WIEF), supported by the Malaysian government, is also very active in advocating IBF. Dubai Centre of Excellence for Islamic Banking and Finance is another body trying to pitch Dubai as the capital of the global Islamic economy. Pakistan, on the other hand, lags behind all these countries in such endeavours, despite having contributed significantly to the amount and quality of human capital to the global Islamic financial services industry. There are a number of reasons behind this indifference to promotion and projection of Pakistan as a global leader in IBF. First, the on-going war on terror, and the law and order situation in the country did not allow the authorities to focus on this strategic area of paramount importance for the national economy. Second, the previous governments (the military government led by Parvez Musharraf and the PPP-led government) shied away from anything Islamic, primarily due to the apologetic view of the Musharraf regime, and the aversion of the PPP government to be seen as promoting or backing any Islamic phenomena. Third, the lack of talent available in Pakistan was also responsible for not giving confidence to Pakistan to vie for a global role in IBF. Finally, in the absence of a political push, bureaucracy in the country has never considered IBF with sympathy. Despite all these obstacles, the share of Islamic banking in the banking sector has exceeded 10%, and its growth is almost double of what the conventional banking has witnessed in the last five years. Given this, it is recommended that Pakistan should now develop an international centre of excellence for Islamic finance, similar to Dubai International Financial Centre (DIFC) and Qatar Financial Centre (QFC). These two Centres are not exclusively for Islamic finance but are certainly engaged in promotion of IBF. Malaysia International Islamic Financial Centre (MIFC), on the other hand, follows a different model to DIFC and QFC, and is a virtual body connecting Ministry of Finance, Bank Negara Malaysia (the central bank), Securities Commission Malaysia, other bodies in the government and international organisations. Pakistan should start with this model, eventually setting up a physical centre of excellence exclusively for IBF. This centre could be hosted in the outskirts of Islamabad, as a ring-fenced financial centre like DIFC and QFC. The proposed special advisor to the prime minister on IBF should be given the task of developing aframework for setting up such a centre, among other things listed above.